Give them the feel of an old French Bakery! This Counter Basket Display Double Stack is an elegant way to store pastries, produce, and more at your checkout lines or service counters. 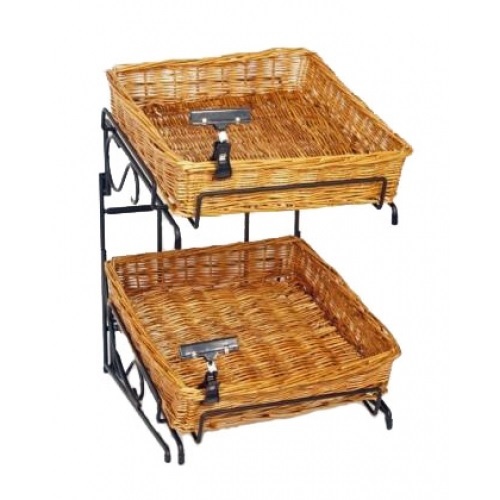 This basket system is great for a store, cafe, or buffet. Two levels on this willow basket display utilize vertical space and add to the ambiance. Inner dimensions of these storage bins are over 12 inches wide and long, with a height just under three inches. Overall measurements are 15" wide x 15" long x 20" high. Plenty of space to exhibit your materials. 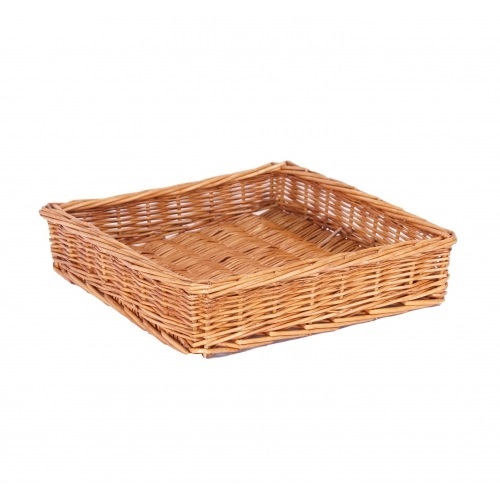 Pair this one with the wider Double Basket for a complete set that will fit all of your items with ease. 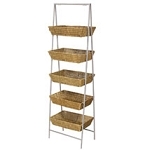 The willow trays on this stacked basket display add style to your area with their woven beauty. Order retail display fixture today!